More newspaper nostalgia, from the Life Archive. 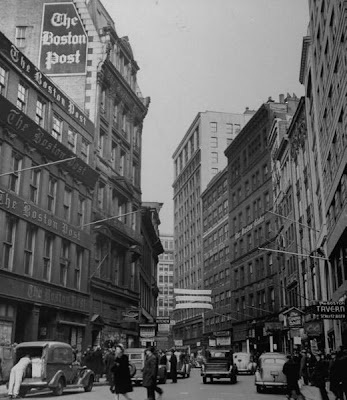 The Boston Post building is on the left, the Globe on the right. Herald city editor William E Mullins cut quite a profile. A paperboy delivers the Herald in Concord in 1959.